The Pharos Arts Foundation, with the kind support of the Embassy of Spain and the Cervantes Institute in Cyprus, presents a guitar recital with Antoine Morinière – First Prize winner of the International Sevilla Guitar Competition in 2015. For his recital in Cyprus, on Sunday 11 December 2016 at The Shoe Factory, Morinière will perform works by Rodrigo, Ginastera, Manuel María Ponce and Napoléon Coste. Winner of the First Prize at the International Sevilla Guitar Competition in 2015, Antoine Morinière, started playing the guitar at the age of eight. He subsequently studied with Jean Luc Rochietti and Olivier Chassain at the Conservatory of Bordeaux, where he graduated with honours unanimously, and he continued his studies at the Paris Conservatory, under the guidance of Jeremy Jouve. Apart from the coveted Sevilla Competition Prize, Antoine Morinière has won a number of international guitar competitions, including, the First Prize at the International Guitar Competition Olzstyn in Poland, the First Prize at the Leopold Bella Competition in Paris, the First Prize at the Ville d'Antony Guitar Competition in France, the First Prize at the Forum Gitarre Wien, the Second Prize at the José Tomás Guitar Competition, to name but a few. As part of the Sevilla Competition Prize, Antoine recorded a CD in June 2016 with the label “Contrastes Records” (Naxos Distribution). 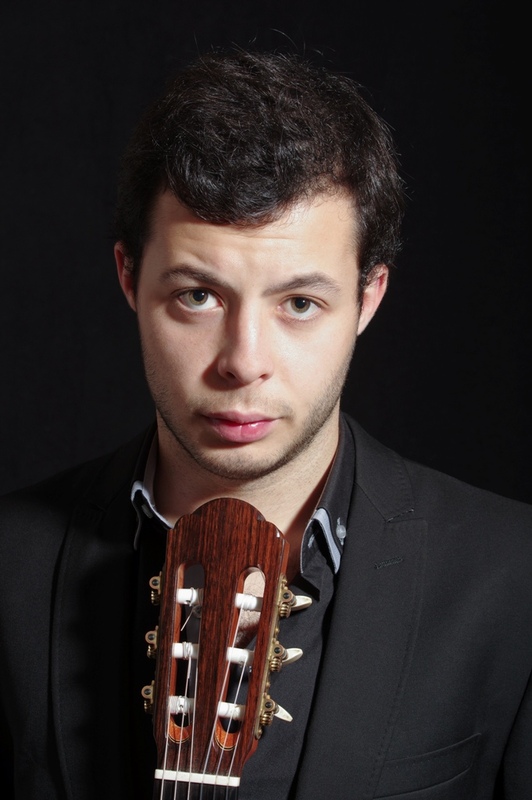 Antoine’s career as a concert artist began in 2010, when he performed the Piazzolla Guitar Concerto with the Conservatoire de Bordeaux Orchestra. He has since performed all over Europe and he has collaborated with a number of renowned chamber musicians such as clarinettist Raphaël Severe, mezzo-soprano Aude Extrémo, guitarist Thibaut Garcia. Antoine has always been interested in contemporary music and he has always been on the search of new repertoire. During his tour in Spain in November 2012, he gave the world premiere of Madoromi and Perpetuum Mobile, which were composed and dedicated to him by composer Rikako Watanabe (composition professor at the Conservatoire Superieur de Musique de Paris), as well as Obscurs for Guitar and Clarinet, which was dedicated to him by the celebrated clarinettist Raphaël Severe. In 2017, Antoine will give the world premiere of a new work for piano, clarinet and two guitars, composed by Jean Frederic Neuburger.